The most important steps toward preparing a winning proposal are taken before the writing even begins. Clients generally don't like to admit it, but they usually have a pretty good idea who they want to hire before the RFP goes out. That's because at least one firm has positioned themselves for the win in advance of the proposal. That's not to say that proposals don't matter. I've been part of several successful proposal efforts where our firm was clearly not the forerunner going in. But positioning your firm before the RFP can give you a virtually insurmountable lead, in part because it enables you to write an unbeatable proposal. Build the relationship. Not every client wants to be your friend, but most will warm up to those who excel in meeting their needs. Those needs extend beyond just the technical scope of work; clients have business challenges and personal preferences that incline them to favor those who are most responsive in addressing these. Bottom line: Become a valuable resource to the client, and demonstrate that you genuinely care. Manage the complex sale. In virtually all sales scenarios, you're dealing with more than one buyer. That's known as the "complex sale." Simply identifying all the relevant buyers in the client's organization and meeting with all of them will often place you ahead of the competition. Of course, the better you understand their various "personal win-results," the better positioned you are to define the best solution. So build the relationship with as many of the buyers as possible. Identify key project drivers. Technical professionals are prone to focusing on clients' technical issues without giving appropriate attention to the nontechnical issues that may matter most. Be sure to uncover strategic and personal needs as well, and include them in your solution development. Strategic needs typically drive our technical projects, and personal needs shape preferences for the working relationship. Uncover the true selection criteria. As a proposal specialist for many years, I learned never to trust the RFP. There are almost always important insights missing in the solicitation, especially relating to subjective or intangible factors that play a key role in selecting a firm. Don't be fooled by seemingly objective grading systems; clients can make the numbers add up to the results they want. Uncover what project issues and selection criteria really matter to the client before the RFP is published. Develop the winning strategy early. Ever found yourself working on a proposal wondering which project approach or design option the client will prefer? It's kind of silly, isn't it? Those questions should have been answered during the sales process prior to the RFP. Yet A/E firms are often caught flat-footed, with access to the client now curtailed with release of the RFP, resigned to speculating what the winning proposal strategy might be. 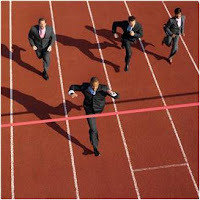 Determine in advance with the client what it will take to win the job. What Is Your Proposal's Core Theme? Overlooking the Client's Real Problem?